If you start from scratch I will pull some strings for you by writing appealing content for your business. Looking for a professional, eye-catching web content writer? I'm the writer of words you want to provide attention-grabbing, professional looking content writing service. Why Order My service as there are a million similar services? I guarantee that full copyrights of work belongs to you can depend on my skills because I never miss what I promise to do. Get a Hand-in-Hand and Order the Best Writing Service. 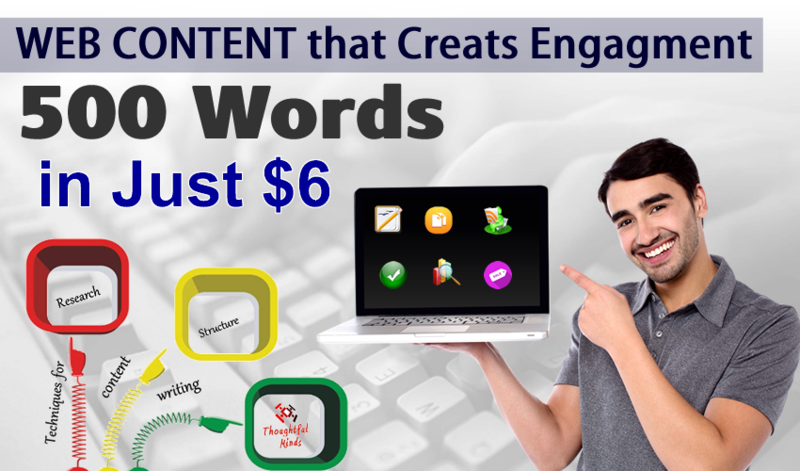 Write Engaging 500 Words Web Content is ranked 5 out of 5. Based on 45 user reviews.